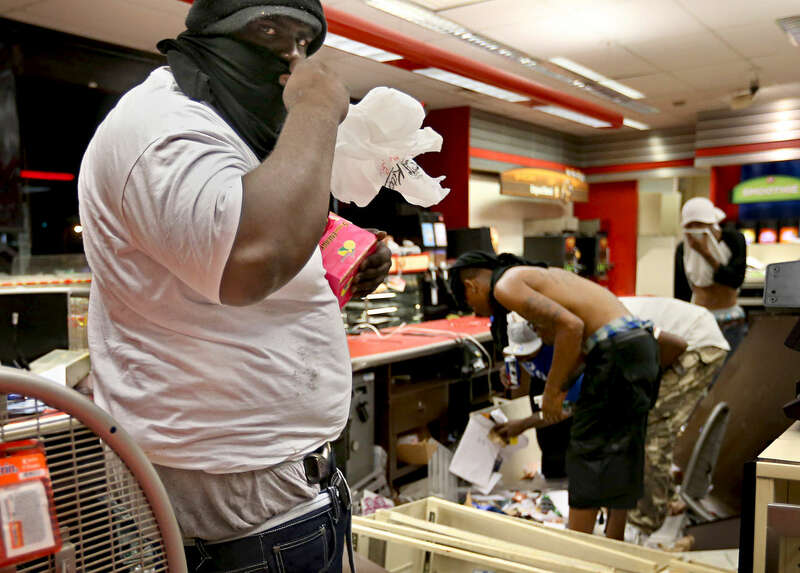 A looter armed with a gun in his waist band steals items from inside the QuikTrip on W. Florissant Avenue in Ferguson, Mo. on Sunday, Aug. 10, 2014. Looting and riots broke out at the end of a candle light vigil for Michael Brown, an unarmed 18 year-old who was shot and killed by police. The looters later burned the store after police withdrew from the area to wait for reinforcements.